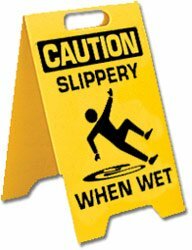 Slip and fall accidents occur everyday. They can happen in a grocery store, on the steps or stairway leading to a business or residence, or in an unlit area where the victim was forced to carefully navigate his or her way. Falling and injuring yourself can lead to a personal injury claim, but the elements of such a claim can be confusing and difficult to prove. The attorneys of the Bagolie Friedman law firm in our New York, New Jersey, or our Florida offices are trained and experienced in handling such cases and can prove each and every element of a slip and fall injury claim in order to get full value for your accident. You must have sustained your injury on the property owned or controlled by the defendant who owes a duty of care to you to maintain his or her property in a safe condition. The injury must also have been foreseeable by the defendant property owner whose actions or lack of them created a hazard that would lead a reasonable person to conclude that an injury of the type the victim sustained was likely to occur. Also, the property owner must have had notice of the hazardous condition, either actual or constructive. For example, if the injury occurred in a grocery store where the shopper slipped on a wet floor, it must be established that the store owner actually knew of the hazard and did nothing about it, or that the condition lasted for an unreasonable period of time so that that the owner should have known about it and made efforts to remedy the hazard. These elements of the claim may require the services of an expert chosen carefully by an attorney who, along with the expert, can help establish proof of these notice requirements to the satisfaction of the court or insurance company. The nature and extent of the victim’s injury and its debilitating effects on the victim’s daily life must also be proven to a reasonable medical certainty or probability. You will require a medical expert to render a report or testimony satisfying these elements, and an attorney who knows what questions to ask and documents to produce. Only a capable accident attorney can ensure that your claim will be handled in a way that meets all the difficult requirements that a slip and fall accident must meet before a satisfactory settlement or money verdict can be achieved. With law offices in New York, New Jersey, and Florida, the slip and fall accident attorneys of the Bagolie Friedman law firm can help you get the justice you deserve.